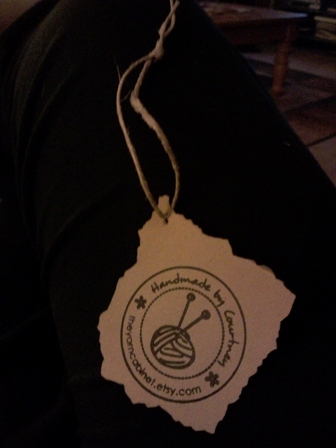 awesomeness – I FINALLY finished and provided my very first “Handmade by Courtney” tags for my handmade stuff (insert a face of “duh – dumbass” here). They look really good! Did you use a stamp for the logo or printed them off a PC?